Lillevik Holiday Homes are nestled in a quiet cove on the fjord in close proximity to The Atlantic Road. All our cottages are only meters from our beach, dock and sea house making Lillevik a superb holiday destination for visitors of all ages. We offer 4 large high-standard and well-equipped cottages for hire. 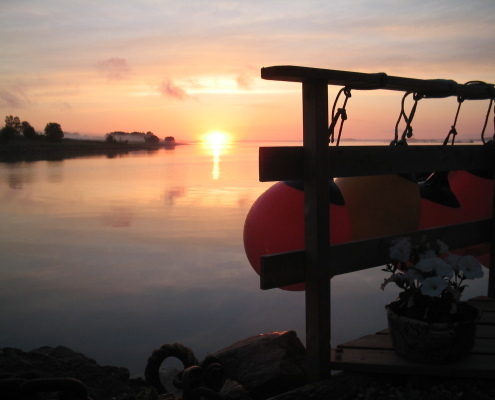 Lillevik´s own tidal flats and beach provide nature´s own playground for children to run, bathe and dip for crabs! Parents can keep a watchful eye from the cottages as these all have a clear view to the flats, beach and dock. Each cottage has a terrace, allowing guests to enjoy their own private view of the cove, fjord and breathtaking landscape. From Lillevik´s dock you also have a clear view of The Atlantic Road. Accompanying each cottage is a 18 foot open boat with a Honda outboard motor. In addition, we offer a larger boat for hire with a 30 hp motor, allowing you to get to the best fishing grounds faster. Please contact us for prices and cabin availability!